The natal chart, or birth chart is what most people mean when they say “astrology chart.” The chart is divided into the 12 signs of the zodiac. 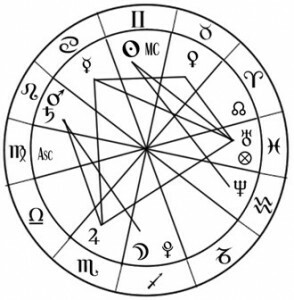 Each chart will be totally unique since it is based on birth time and location. So two people born at exactly the same moment in time are going to have different influences because the sky will look different in Texas than it does in Finland. The astrologer’s job is to fix the places the planets where they were in the sky at the moment of that person’s birth. 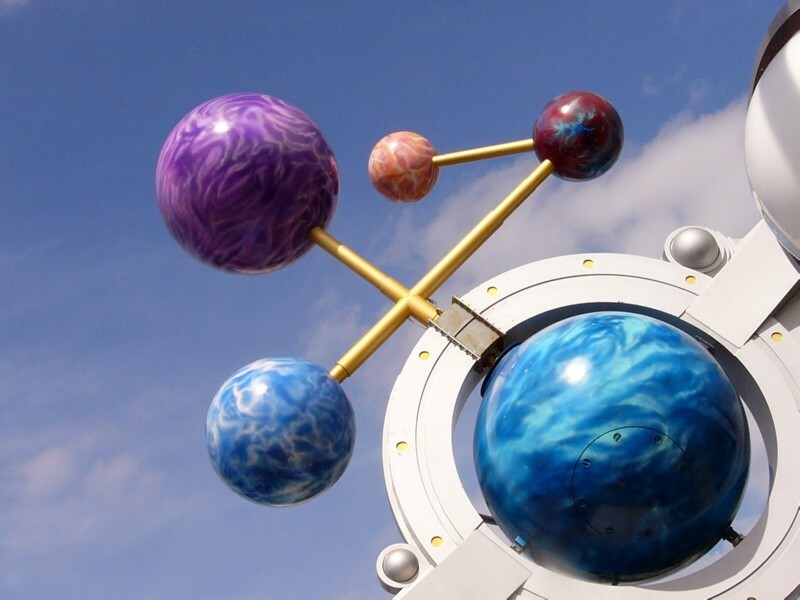 The Sun, Moon, the planets are constantly in motion relative to the earth. Each tick of the clock changes the night sky, and so as each second passes the astrological chart changes. Once the astrologer fixes the relative positions of the zodiac signs in the houses, he or she adds the sun, moon, and planets at their rightful celestial longitudes. A complete chart will note the positions of minor planetary bodies, fixed stars, asteroids, like Chiron and fixed points in the sky, like Black Moon Lilith. Remember your geometry? Next, we look at angles. It might feel like you need a math degree to do astrology! To complete the horoscope you have to consider the aspects or relative angles between pairs of planets. Certain aspects are considered more important than others. There are 8 main aspects. The 4 most important are: Conjunction (0°), Opposition (180°), Square (90°) and Trine (120°) . The first aspect, Conjunction means the planets and points that form the conjunction are united, blended. Therefore, they act together. Second, Opposition means just what you’d expect — the opposition is created by dividing the circle by 2. What lies just opposite on the chart? It matters. Third, the Square means tension between the planets and points involved. And last, the Trine means support; the planets support each other. So to give you an example, let’s say you have Moon squaring Jupiter (which I do right now). The Moon is all about emotion and feelings and Jupiter is wisdom and positive thinking. They are squared which means there is possible tension in my day between what I feel (or how I thoughtlessly react) and what I know is right, or better put, what my higher self thinks is morally right. Jupiter is big on moral authority. To complicate things, Jupiter rules my sign, Sagittarius. So that just adds more tension into the equation. I also have Moon trine Mercury. So those two bodies are supporting each other. Moon = feelings. Mercury = communication (in really general terms). So while this trine lasts (about a day) I will be in touch with my feelings and able to give expression to them. Given other parts of my chart, this is unusual for me, really. There is a ton more to discuss, but that gives you a flavor for the birth chart. Find out your exact time of birth and you can start to really understand the influences in your life. Thanks for the nice comments. I’ve been reading up on some esoteric lore and I’m working on a new post about it. Too much to do and never enough time!